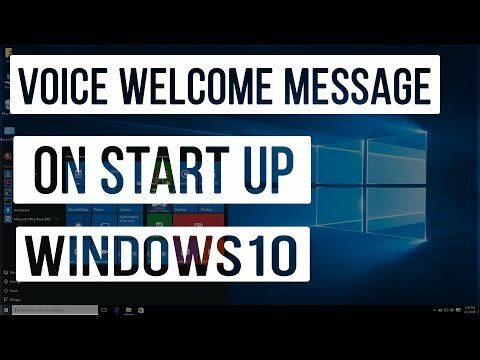 In this tutorial we will show you how to make your windows 10 computer welcome you with a voice message when u start your computer and login to your user account. You can also modify the message as your requirement and if you don't want this feature then you will also be able to remove it. I'm the one behind the youtube channels LearningLad and LearningLad Hindi, Where i make Free Video Tutorials on popular computer programming languages. I also write tech related articles on Learninglad.Net. Copyright © LearningLad.com . All rights reserved.